For Rian Johnson, a director who had never taken on a feature with a budget of over $30 million, signing on to both write and direct Star Wars: The Last Jedi was a very daunting task. 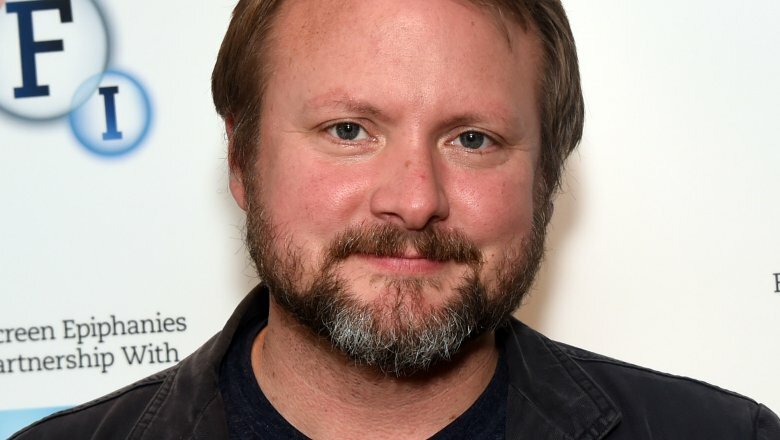 Johnson, the only man credited as a screenwriter on The Last Jedi (compared to The Force Awakens' three scriptwriters), recently discussed his process in writing and directing the high-profile film in a wide-ranging interview with Vanity Fair, saying that he wanted the middle piece of the trilogy to "knock the stool out from under" the movie's characters. Even with Kennedy's faith in him, The Last Jedi's immense scale still presented unique challenges for Johnson. He said that, to prepare, he looked at World War II movies like Twelve O'Clock High and "funky 60s samurai stuff" like Kill! and Three Outlaw Samurai. Plus, he had a bit of help behind-the-scenes, often calling on the resources of Lucasfilm's story department, a team of 11 people tasked with ensuring narrative continuity across all of the Star Wars films. "The whole team reads each draft of the screenplay as it evolves and we try, as much as we can, to smooth out anything that isn't connecting," said Kiri Hart, who is in charge of the group. Johnson also says he ran through drafts with star Carrie Fisher, who passed away in December. Johnson was surprised with how much freedom he was given with the story, saying that the only thing he was told he had to go off of was The Force Awakens. This left him with a lot of places to go, but luckily, he came up with a pretty easy (and grim) idea for where to begin. "I started by writing the names of each of the characters and thinking, 'what's the hardest thing they could be faced with?'" Johnson said. This idea is reflected in what the movie's stars had to say about their characters, with Adam Driver saying that he thinks everyone is in a "rehabilitation state" after the dramatic events at the end of The Force Awakens. "You know, I don't think that patricide is all that it's cracked up to be," he teased about his character Kylo Ren. "Maybe that's where Kylo Ren is starting from. His external scar is probably as much an internal one." This rehabilitation also applies to John Boyega's Finn, who begins the movie in a "bacta suit," a regenerative immersion tank set to heal the tissue damaged in his fight with Kylo Ren. Although there are clearly plenty of dramatic elements in the film, Johnson said it was still important to him that there be light, adding that he didn't want the movie to fell like "a dirge." "One thing I've tried really hard to do is keep the humor in there, to maintain the feeling, amid all the heavy operatic moments, that you're on a fun ride," he said. Johnson's script will face its biggest test when The Last Jedi hits theaters on Dec. 15. While we wait, see some details only true fans noticed in the movie's first trailer.